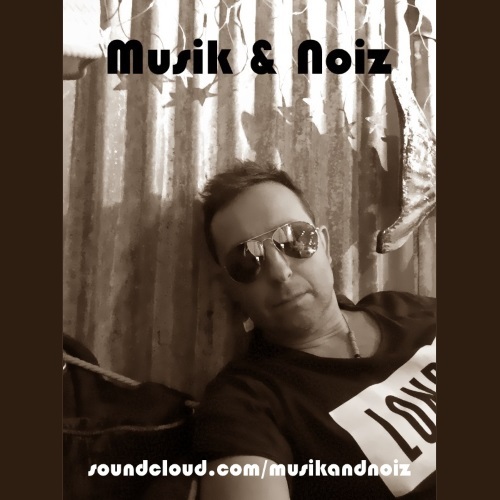 Musik & Noiz, aka Richard Subidé is a Surrey-based (just outside London, UK) Independent Electronic Music Producer/Musician with some Catalan spirit which originates from the family’s spiritual home in Barcelona. Richard quotes Jean-Michel Jarre, Tangerine Dream, Vangelis, Kraftwerk, Visage, Depeche Mode, Chicane & BT, where he draws some of his musical inspiration from, just to mention a few of the artists which he grew up listening to. His musical styles vary from Electronic Dance/Trance & Electronica to Chillout, Ambient, New Age & Experimental genres. Richard states “why restrict or limit yourself when it comes to musical genres” & as such is a fan of most styles of electronic music. He therefore intends to experiment with different electronic genres, with a view to releasing anything he feels “hits the spot” in the future. Having now been a Top 10 Artist on Jango Radio’s Independent Airplay Stations during 2015 & 2016, Richard hopes that he can expand on that success with the recent release of his first EP single entitled “Unison (The 6-Track EP Single)”, which is now available from all online music retailers & streaming services. His new release entitled “Unison (The 6-Track EP Single)” contains different versions of the track, which vary in mood & genre style. Based around the same theme, the Club Re-Mix (re-mastered for this release) & Edit versions are Electronica dance tracks with Uplifting Melodic & Progressive Trance & Techno influences with some Catalan Spirit! With a longer Intro & Outro, the full-length version obviously aimed at Clubs & DJs while the shorter version aimed at Radio Stations. The Chillout version focuses on being more down tempo & aimed for relaxation listening (chilling out) as it features some ambient background wildlife & environmental sounds, recorded live on location in order to capture the “true spirit of nature”. The Piano Chill version (re-mastered for this release) focuses on being a raw “unplugged” piano rendition again aimed for relaxation but also New Age listening. The Vocal Chill version focuses on the voices used across most of the tracks which feature vocals from a dear & late friend of Musik & Noiz. As such, this rendition pays homage to that person. The last track, Olympic Ensemble was written during the Rio 2016 Olympics as a finale to the whole release & as such features a somewhat different melody which adds some dramatic & melancholy tones to bring the EP to an end. Richard also quotes that the EP is “Dedicated to & in memory of my dear late friend Steve McDonnell who left this Earth far too early” & hopes that the release is a fitting tribute. The whole EP was Written, Performed & Produced by Richard F Subidé, being Recorded & Mixed at Waveside Studio for Waveside Recordings, Surrey UK. The Vocal Chants are chops/cuts from songs originally sung by his close friend Steve McDonnell sourced from very old recordings which had been stored on tape for use as demos many years ago. These were then painstakingly turned into digitised audio, cleaned up, reprocessed & re-pitched so that they were in tune with the new melodies. The whole process took several weeks to achieve mainly due to the age of the recordings. Finally, the whole release was superbly & meticulously Mastered by Jesse Skeens at Medway Studios, London UK.